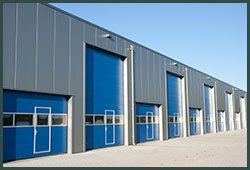 When we talk about alternate entries to your home and office, individuals and businesses with a garage at their property immediately think of garage doors. Along with being a secondary entry, garage doors add to the visual appeal of your property and owing to their big size, they are the first thing that a visitor notices about your property. And just like any other component of your home, they are also susceptible to wear and tear, accidental damage and external threats. To make sure your garage doors are in top-notch condition you should always have a garage door company on-call and if you are in the Leonia, NJ area, then you have to look no further than Two Guys Garage Door Service. We have been an integral part of the local community for more than a decade now, serving businesses and homeowners day in and day out, 24 hours a day and seven days a week. We specialize in garage door installation, maintenance, and timely repairs. Our customers love us because of our reliable services and timely response to all their queries. You can reach out to us at any time of the day and we will try to resolve your queries as early as possible. At Two Guys Garage Door Service we are proud to employ some of the best garage door experts in the Leonia, NJ area. Our experts are the face of our company and they are the ones who have been able to maintain and steadily improve our reputation our reputation over time. To make sure that you only get the best garage door experts, we only hire driven, experienced and skillful individuals who have the knowledge of garage door types, cables, springs, materials and other garage door parts. Aside from that, we know how important it is to keep our skills relevant in this ever evolving industry. Garage doors are changing every day and if a service like ours doesn’t adapt to the changes, we won’t last long in the industry. That is why Two Guys Garage Door Service invests heavily in training its employees by conducting workshops and training sessions. Along with that we always have the latest tools and gadgets at our disposal, so that when our technicians are in the field they don’t have to face any issues due to lack of proper tools and equipment. Our superior quality is maintained through the use of best quality tools and hiring efficient and highly skilled technicians. At the same time, we only source garage door parts and materials from the best national and international brands. 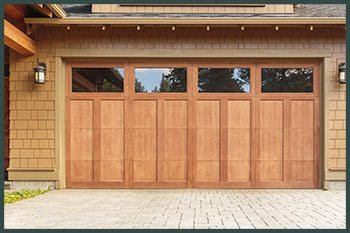 Garage doors have many components that can malfunction at any time and if they are not replaced or repaired immediately, then it can lead to serious damages to you and your property. Having a reliable 24/7 garage door service available on-call can help you tackle such emergencies. Two Guys Garage Door Service is one such service that takes care of any garage door emergency in the Leonia, NJ area. We can replace broken springs, repair broken cables or replace your garage door if it has accidental damage even when you call us at 03:00 AM in the morning. 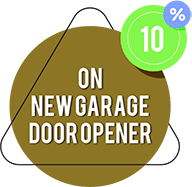 Call us on 201-416-3215 and give us a chance to assist you with everything related to garage doors, be it installation, repairs or maintenance. We Provide Garage Door Install in the following zip codes.